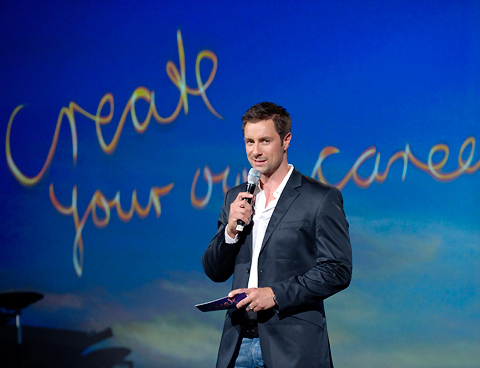 The aim of “Create Your Own Career” was to open up the multinational Bertelsmann group’s image to aspiring young talents. Of 1000 applicants, the best 110 were invited to Berlin, where they developed case studies for RTL, Gruner + Jahr, Random House, Direct Group, Arvato and BMG and presented them to a panel of top-class jurors: the Bertelsmann board. In the evening, the winners received their prize of a flight to San Francisco for an IDEO workshop, and the hip hop band Die Fantastischen Vier got the party started. Until late into the night, participants and executives celebrated the beginning of wonderful friendships – and careers. Services: Comprehensive event concept, locations, production and realisation, visuals in cooperation with florafaunavisions. Corporate Candy is currently planning the follow-up for July 2012.